Elle Floyd, PA-C is a board-certified Physician Assistant specializing in Dermatology. She received her undergraduate Bachelor of Science degree from the University of Florida and her Masters of Physician Assistant Studies from Nova Southeastern University in Fort Lauderdale, Florida. Elle is certified by the National Commission on Certification of Physician Assistants. She specializes in medical dermatology and skin rejuvenation treatments. 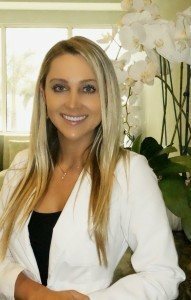 She is a member of the Society of Dermatology Physician Assistants, Florida Society of Dermatology Physician Assistants, and Florida Association of Physician Assistants. Born and raised in Jupiter, Florida, Elle enjoys snorkeling, biking, and spending time on the boat with her friends and family.